Following the recent turmoil in the global economy and housing markets meltdown, rates of unemployment across the country have been staggering. Although things are currently looking up for the unemployed, it doesn’t hurt to buy yourself a job. But did you know that buying a franchise is more or less like buying yourself a job? That’s right; franchise ownership is much akin to getting yourself a job (or self-employment to be precise). Which begs the question: can buying a franchise be a career goal? More importantly, which is best for you: buying a franchise or a getting a job? In this article, we are going to walk you why buying a franchise can be the holy grail for your professional life. We’ll cover the advantages of franchise ownership over traditional employment. Perhaps the biggest draw of taking up a traditional job has always been because it's perceived to be less risky than self-employment or starting a business. Oftentimes that means people think that a conventional job guarantees a stable stream of income in exchange for hard work and diligence. In other words, there’s little risk of losing your source of income when you’re employed, unless you decide to call it quits. People have always assumed that a job comes with an economic safety net, but that’s not going to last. Times are changing, and jobs no longer come with well-defined roles and descriptions. In fact, the continuation of most job positions is in limbo. That’s why buying a franchise and creating startups are all the rage right now. With that said, given that the sense of safety in traditional jobs is becoming more of an illusion than reality, franchise ownership can be a more reliable alternative. Having leadership and management skills can make a big difference in your career life. That’s exactly what buying a franchise offer: a chance to be your own (and others’) boss. If you give it your all, franchise ownership can help you hone an array of business skills such as organization, attention to detail, interpersonal skills, emphatic leadership skills, and much more. Even if you decide to sell or exit the franchise someday, you’ll have top-notch skills to bring to the table. These are skills that’ll propel you to the zenith in the corporate and business world. Unlike a traditional job where you’ve to please your boss to climb the hierarchy, franchise ownership means that you can take your experience and knowledge to the next level without significant hurdles. As you might already know, most franchises offer technical and management training for their franchisees. And with education and corporate training costing a fortune these days, buying yourself a “job” through franchise ownership is certainly a smart economic move. Let’s face it; not many jobs today pay enough for your worth. As a franchise owner, on the other hand, you’ll take advantage of a tried-and-true business model to produce a serious income. In fact, if you do due diligence and choose the right franchise, you can make a killing year after year. You’ll build your own dream business, and a fortune while at it. It’s no secret that owning a franchise can help create wealth over time via excess cash flow. The good thing is that you can cash in on this wealth by selling your franchise unit(s) when you’re ready. As a regular employee, the chances are that you’re only contributing to your 401(K) or a retirement fund, which isn’t always enough to diversify your investment portfolio. Let’s be honest; the current income tax regime is not the best out there. 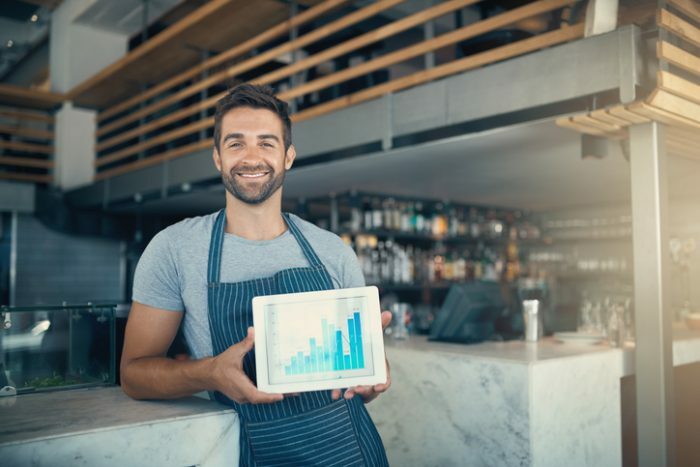 Lucky for you, franchise ownership comes with incredible tax advantages that aren’t available to traditional employees. Just like self-employment or being an independent contractor, franchise ownership allows you to make several different tax deductions. Buying a franchise is more than buying yourself a job. While the benefits of franchise ownership are evident, a prospective franchise owner might want to be more careful when exploring their franchising opportunities. Take time to do due diligence, and choose a franchise that’ll deliver significant franchise ROI.